Stadler has been criticized over the diesel-emissions scandal. BERLIN -- Audi Chairman Matthias Mueller said reports about an imminent ouster of CEO Rupert Stadler are false. German daily newspaper Bild reported that Stadler will be replaced in April because of his handling of Audi's part in Volkswagen AG's diesel-emissions scandal, with former Skoda CEO Winfried Vahland seen as his most likely successor. Vahland quit VW AG, parent of Audi and Skoda, weeks after the scandal broke out in 2015 after declining to take up a new post as North America chief. Vahland is favorite to succeed Stadler, Bild said. Should he refuse the job, BMW development chief Klaus Froehlich was a possible alternative, it said. BMW said Froehlich was not a candidate to replace Stadler. Reuters could not immediately reach Vahland, who has kept a low profile after quitting Volkswagen. 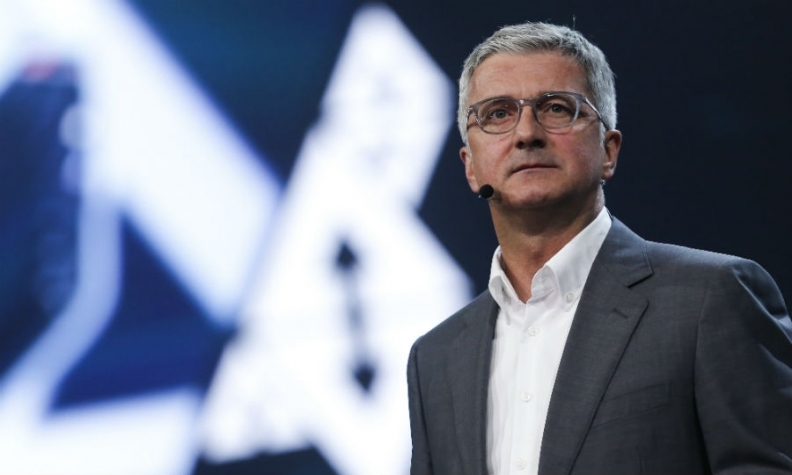 In a message to Audi staff, Mueller, who is also CEO of VW AG, said the luxury carmaker needed the full concentration of management and workers to overcome its current challenges under Stadler's "proven leadership." Audi's headquarters was searched last week by German prosecutors widening their inquiry into the manipulation of diesel emissions tests, which was exposed by U.S. authorities in September 2015 and has plagued VW ever since. "Please pay no attention to the personnel speculation spread by the media, which lacks any foundation," Mueller said in the message sent to Reuters by email. Stadler ran finance at Audi for four years before becoming CEO in 2007. He was a former assistant to then-VW chairman Ferdinand Piech, the scion of Volkswagen's controlling clan who was ousted in 2016. Bild said that Stadler, who has been in the firing line for months, would become finance chief of Volkswagen. Sources close to Audi said there had been no discussion on the supervisory board about replacing Stadler. The controlling panels at Audi and parent VW are due to hold separate regular meetings next week. Porsche SE, the group through which the billionaire Porsche and Piech families control their majority stake in VW, declined comment. A senior source close to VW told Reuters last week that Stadler still had the backing of the Porsche-Piech clan. Audi, VW Group's main profit contributor, did not admit to using illicit emissions control software in the United States until November 2015, two months after the scandal at parent VW was revealed. Audi developed 3.0-liter V-6 diesel engines used in about 80,000 VW, Audi and Porsche models that in 2015 were found to be equipped with illicit software and to exceed U.S. emissions limits.